Emergencies happen when you least expect it so it’s important to be prepared. CPR is an invaluable skill that everyone should know, especially if you take care of someone or work around children. Knowing CPR can be the literal difference between life and death in an emergency situation. Below we’ll explore how to get CPR certified; It’s easier than you might think. Learning how to get CPR certification is very straightforward. You can find many CPR certification courses both on and offline. If you need help finding one, go to your local hospital or community center. If they’re not offering a CPR class at the moment, they’ll at least be able to point you in the right direction. The websites for the American Red Cross and the American Heart Association can also provide a list of available courses in your area. Keep in mind that online courses usually still contain an in-person part to them where you must go in and pass a test before you can become certified. There are a variety of courses offered, each with a different focus. 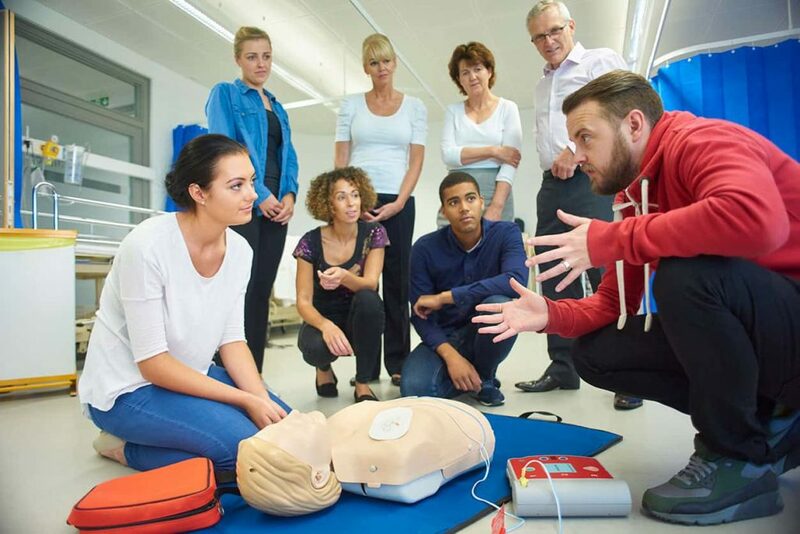 You can take a course in either children or adult CPR, as well as an inclusive course that will also train you in AED (Automatic External Defibrillation) use. The Red Cross even offers a “Babysitter’s Training and Pediatric First Aid/CPR” course, focused on giving teen babysitters the skills they need to handle an emergency under their watch. Once you’ve completed your CPR class and gotten certified, your certification will be usually good for a couple of years. Afterward, you’ll have to take a refresher course to renew your certification. This is a good thing though, as it will keep you up to date on advances in CPR techniques as well as give you the chance to practice skills which you may not have gotten the chance to use since your last class. Now that you know how to get CPR certified, go out and find a course! If an emergency arises you should always call 911 first. But knowing CPR can give you the skills to detect an emergency, assess the situation and treat a victim until emergency personnel arrive at the scene. The presence of a CPR-trained individual at the scene of an emergency can save someone’s life. How Do You Become a CNA?